Favia Wine was founded by noted viticulturist Annie Favia and her husband and wine maker, Andy Erickson. Wine making was not their initial career paths – Andy (originally from Indiana) majored in Political Science at Tufts University with an emphasis on Latin American policies while Annie majored in French Literature at George Washington University and was raised on a farm in Connecticut. 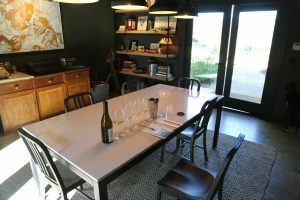 So how do they go from non wine related career paths to meeting, falling in love and both becoming two of Napa’s most sought after individuals in the world of wine? The story is an interesting one with a number of eventual parallels. Both Andy and Annie were introduced to wine during time each spent in France. Andy studied abroad as did Annie (where she was introduced and developed a love for Cabernet France – but more about that later). Andy was working in San Francisco for an advertising agency, wasn’t happy with the corporate world and opted for a dramatic career change and move – one that took him to Mendoza Argentina in the mid 1990’s where he worked two harvests in the vineyards and in the winery. Returning stateside he met vintner John Kongsgaard who gave him a job working in the cellar at Newton Winery (where Kongsgaard was the winemaker at the time). Andy then became a salesperson for Seguin Moreau – selling barrels. Returning to school, at the University of California, Davis he eventually earned his Master’s degree in Viticulture and Enology with a thesis on co-pigmentation. He has made wine at a number of Napa’s most well regarded and exclusive properties including Harlan Estate, Screaming Eagle and Dalla Valle, among others. Annie’s introduction to the wine world was through John Kongsgaard at Newton (at a different time when when Andy worked there). She also worked for Cathy Corison at Corison Wines which is where she ultimately discovered her love of working with vines when one day Cathy asked some of the staff if anyone wanted to help her with some vineyard work and Annie offered to do so. After returning to school for a degree in Viticulture she became a viticulturist for David Abreu (Abreu Vineyard Management) overseeing vineyards for some Abreu’s top clients including Harlan Estate, Araujo (now Eisele Vineyard) and Colgin. Both met randomly at a party that was being held at Andy’s house. Their first Favia wine (not released commercially was in 2001); their first commercial vintage and release was from 2003. 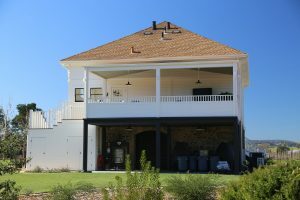 In the early years their wine was made in their garage – over the years it has been made at several locations in the valley. Looking to find their own winery home, Favia purchase 6.5 acres in Coombsville in 2014 – in our opinion, one of the best finds from the past few years based on the site’s history, pedigree of the old winery and proximity to the city of Napa. 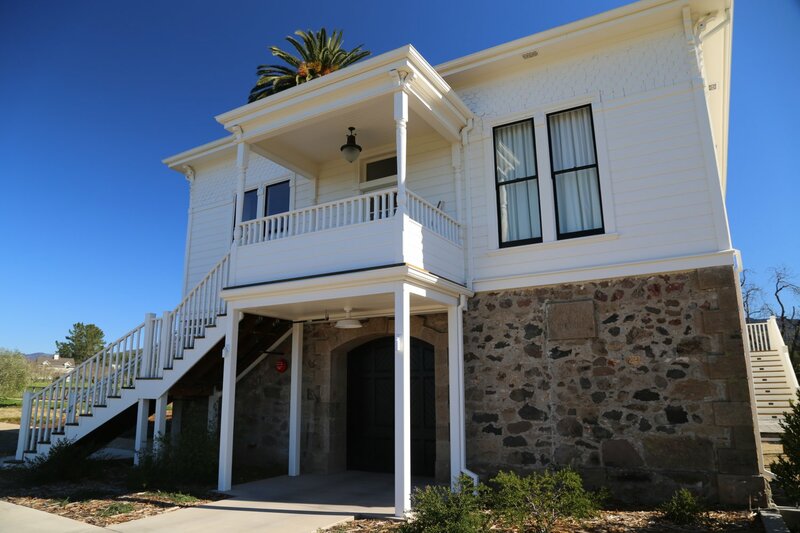 This is a rare piece of property for Coombsville – most old stone ‘ghost wineries’ are located up valley – there are only several located in Coombsville (although incidentally the author and photographer of Ghost Wineries of Napa Valley has a strong Coombsville winery connection. 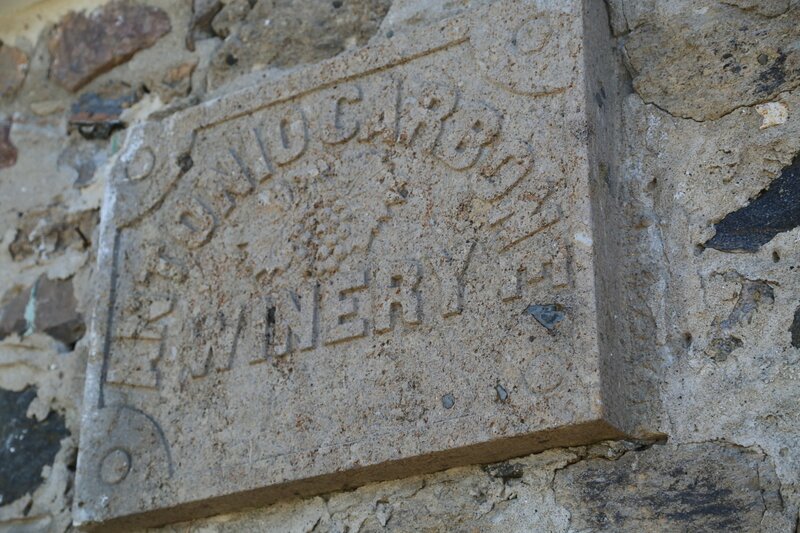 The Favia property used to be 125 acres and was home to Antonio Carbone Wine Cellar & Italian Garden. Antonio was a farmer focusing on vegetables (the first commercial vegetable garden in Napa County) although records do show 40 acres of vineyards planted on site under his ownership to varietals such as Burger, Mataro, Mouvedre and Zinfandel. 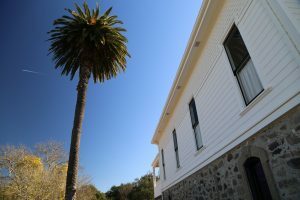 Antonio and his brothers were either the earliest or among the earliest Italian immigrants to Napa County. 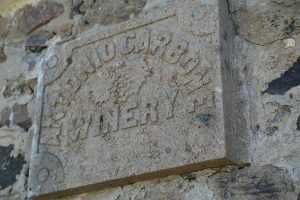 The original stone winery on site was built in 1886 (the original stone plaque with the name of the winery is located on the stone wall next to the cellar entrance). Wine was produced here until Prohibition. Prior to Favia’s ownership the property was owned by Faust Wines – which ultimately was not conducive to their on site expansion and hospitality plans. Interestingly enough, Leviathan, a wine brand Andy founded in 2004 is part of Huneeus Vintners (the owners of Faust Wines). 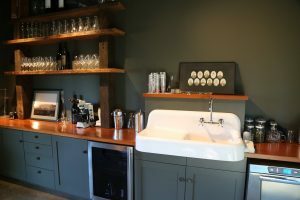 With the help of noted architect, Howard Backen of the architectural firm, Backen, Gillam, & Kroeger Architects – Andy and Annie oversaw the retrofitting and upgrade of the old cellar while at the same time preserving its history (including the original stone walls and wooden doors). And rather then plant the property to vineyards (the property is already surrounded by vineyards) they planted olive trees, a fruit orchard, put in a sizable vegetable garden and care for 2 acres of existing walnut trees. Annie also oversaw a native plant restoration project next to the small creek that runs through their property. 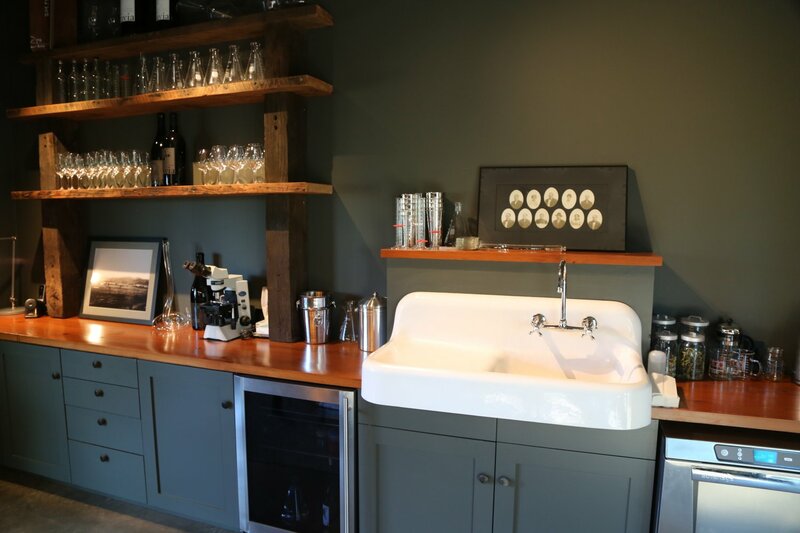 And with convenience in mind, their commute to the winery is mere seconds – the upstairs of the winery is their home. 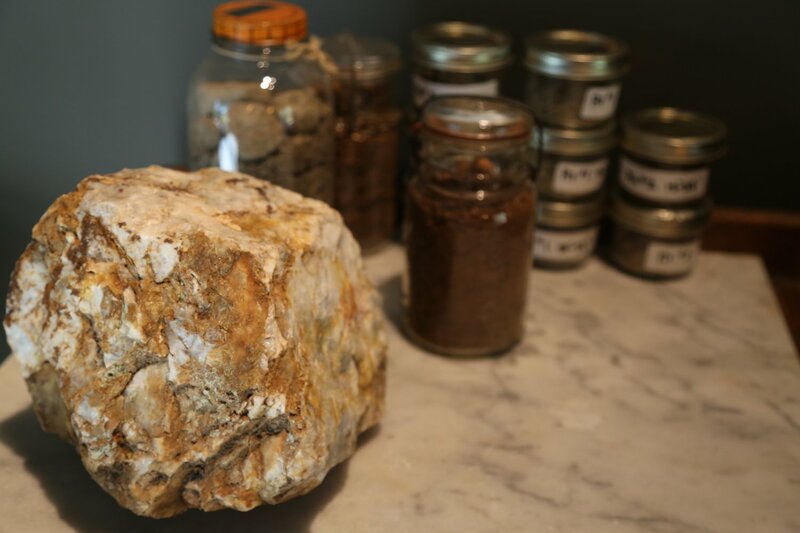 Combining viticulture resources and the acumen of two incredibly talented individuals is a compelling asset when it comes to deciding on vineyard sources for their own wines, utilizing existing relationships cultivated over the years and wine making prowess. 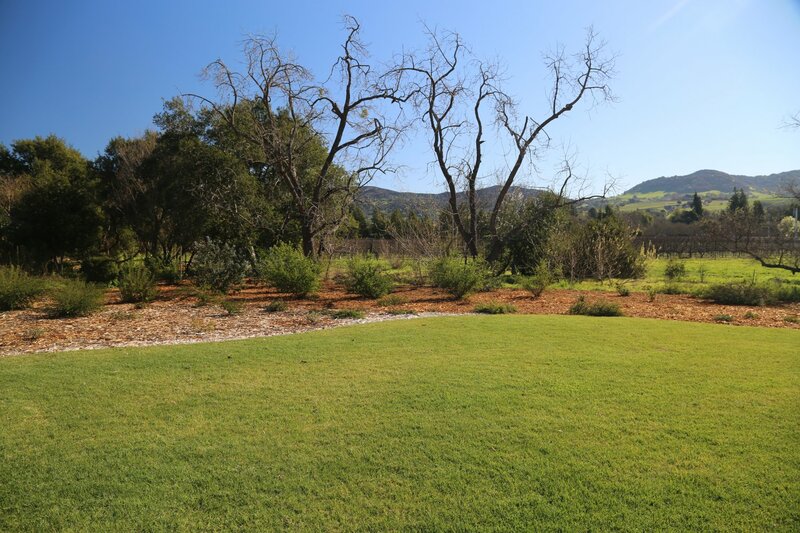 Both Annie and Andy have worked with premium vineyards sources up and down the Napa Valley. Their commitment to Coombsville extends back many years – previously, they owned another home in this part of Napa, they have both worked with fruit from the region and today several vineyards in Coombsville provide grapes for their wines. 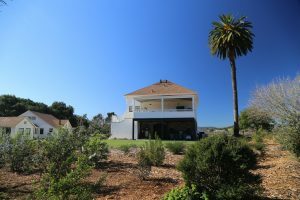 This part of Napa is generally among the cooler parts of the county for growing grapes – with direct access to the San Pablo Bay and its cooling marine influences. With that said, there are still micro-climates within Coombsville. Their philosophy is fairly hands off in the cellar while maintaining a sharp eye on the details – a natural approach to wine making if you will. They ferment their wines using non-inoculated (indigenous) yeast, bottle the wines unfined and unfiltered and typically let the wines age in the bottle a year prior to release. Total production is around 2,200 cases a year with a focus on Napa wines. With that said, their one vineyard source outside of the Napa Valley is the highly regarded Shake Ridge Vineyard in Amador County owned by viticulturist Ann Kraemer. They produce several Rhone varietal specific wines from this vineyard including a Syrah, a Grenache and a Viognier. Andy often co-ferments Viognier with Syrah; one year he had an extra barrel of Viognier. 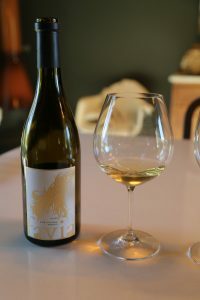 Developing as a stand out stand alone wine, he decided to bottle the Viognier on its own, Ann planted more of this varietal upon their request – and they continue to make this wine each year. Their Viognier is fermented and aged sur lie in both neutral barrel and stainless steel, a process that usually lasts 20 months. 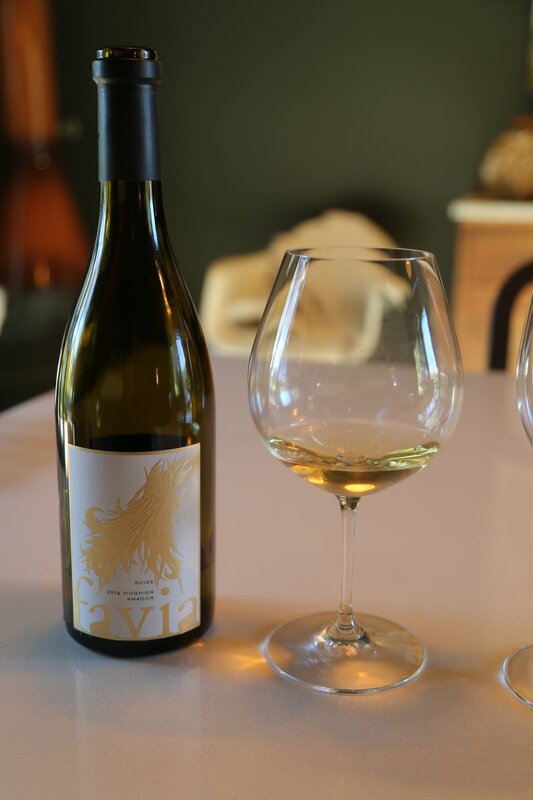 Our thought when we first smelled and tasted the 2014 Favia SUIZE Viognier, is this is one of the more complex Napa produced viogniers we have tasted (not that we get to taste too many due to limited vineyard plantings of this varietal in Napa) – but then we realized it is actually from Amador County. Deep golden in the glass and layered aromatically it shows aromas of honeysuckle, caramel and as the wine breathes more citrus influence including grapefruit. Richly textured, the wine shows a creamy almost oily mouth feel – smooth and velvet-like across the palate. While it has weight it retains a liveliness anchored by good acidity. Flavorful on the finish, it also shows some citrus and spice notes. Named SUIZE, in honor of Marie Suize, a little known prospector during California’s gold rush years who would often dress like a man. CERRO SUR in Spanish means ‘south hill’ referring to a section of hillside land in the Vaca Mountain range in Wooden Valley (valley to the north east of the city of Napa). This was one of the first vineyards Favia worked with – and their resulting wine is the reason these vines are still growing. The property owner was going to pull them out – these Cabernet Franc vines are more then 40 years old, (considered ancient for this varietal in the Napa Valley), but Andy and Annie urged them to reconsider. If there is one varietal that both Andy and Annie are passionate about, it is Cabernet Franc. The 2014 Favia CERRO SUR Red Wine is 85% Cabernet Franc and 15% Cabernet Sauvignon. Shows a cigar box like smoky elegance initially on the bouquet and reveals riper fruit as it opens. Savory on the palate with good acidity it shows hints of white pepper, tea leaf and a mix of dessert spices. Very well layered. This is a premium wine from a premium vineyard source in a part of Napa that one doesn’t often hear about compared to larger and more well known vineyard sources in the valley. 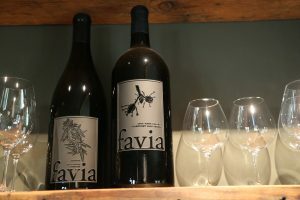 Favia used to create a single wine from both Coombsville and Oakville fruit – realizing the favorable attributes of each vineyard source on its own – in 2013 they decided to create two separate wines. The 2014 Favia Cabernet Sauvignon Coombsville Napa Valley is 100% varietal. Very dark in the glass it shows bright fruit with an elegant sweetness to the bouquet as it opens (black fig). Offers flavors of darker fruits including blackberry and dark cherry. Superbly balanced in its youth. Finishes with dry but well integrated tannins. Built to drink now but also built to age. The 2014 Favia Oakville Cabernet Sauvignon is sourced from a prestigious vineyard on the eastern slopes of Oakville, Oakville Ranch. During our tasting, took some time to open in its youth, sort of like a shy teenager who then discovers himself as he ages into his twenties and develops a well-rounded more confident personality. Somewhat closed on the bouquet initially it takes some time to open but when it does it reveals a youthful exuberance representative of this particular site’s potential. Shows darker characteristics on the bouquet with notes of blackberry, hints of chocolate and toasted cedar – on the palate there is bright acidity and lively fruit – with a long finish anchored by expressive tannins that carry some weight. Very long finish. The wines are sold direct with some limited distribution in select markets including in California, New York, Texas and Nevada (Las Vegas). 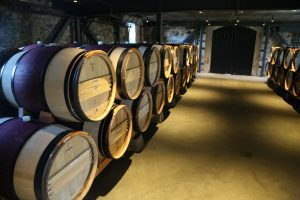 Locally some of the wine is found at restaurants including Torc, the French Laundry, the Restaurant at Meadowood, Angele and Press among others.